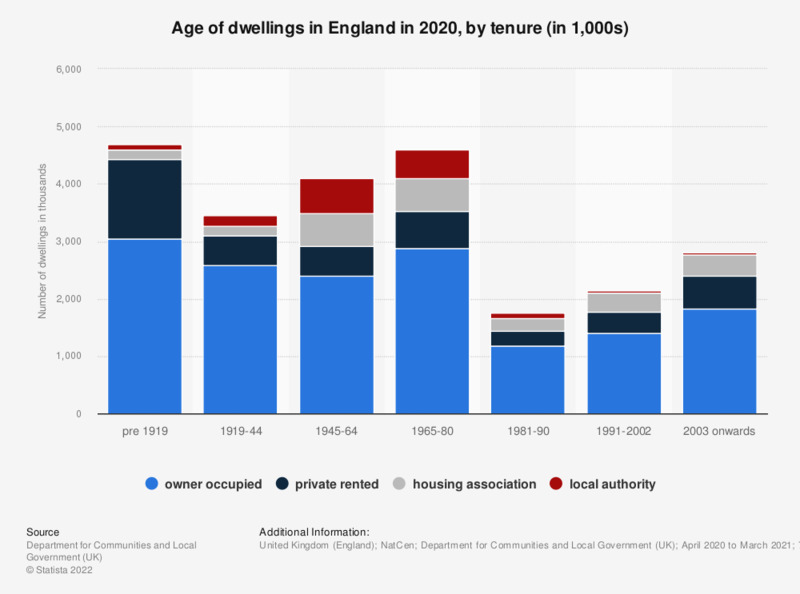 This statistic shows the distribution of housing stock in England as of April 2017 to March 2018, broken down by dwelling age and tenure type. It can be seen that as of 2018, more than three million owner occupied houses were built before 1919. In contrast, just under 1.2 million owner occupied houses were built from 2003 onwards. Furthermore, the number of owner occupied dwellings being constructed has decreased through the years, even with loss of buildings over time, the majority of owner occupied dwellings in England were constructed in 1980 or before. This trend can be further seen in the overall distribution of housing stock by age.